Ready to take on your toughest cleaning chores, the newly redesigned Synchrony Premium features the patented and proven Tandem Air System to clean reliably and thoroughly from floor to ceiling. 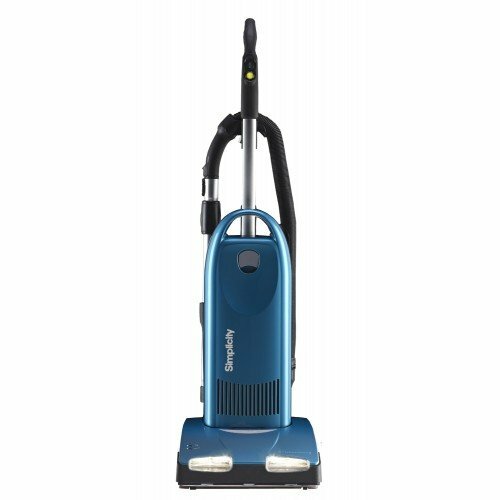 Now with even more convenience features like a comfy Deluxe Touch handle, longer cord, longer wand and a hose that stretches 6 feet longer than previous models, the Synchrony makes cleaning even easier. The Hall sensor technology means no more broken belts, and it's easy get rid of dirt, dust and allergens with the new self-sealing HEPA media bag system and HEPA media filtration. Now more than ever, the Synchrony Premium combines amazing cleaning performance with the durability and convenience that's totally Simplicity.